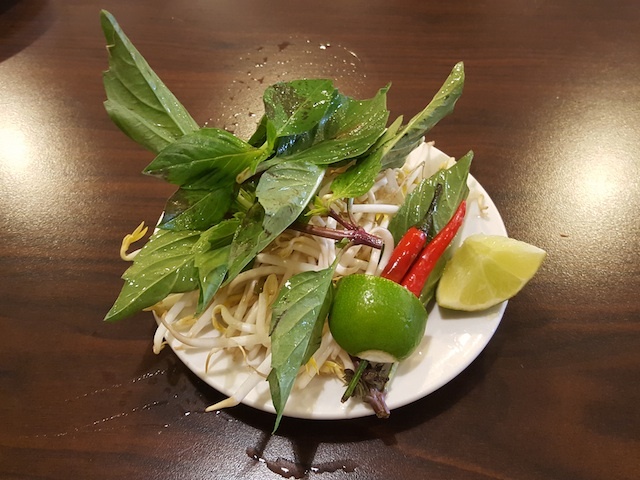 Co Do Hue is a Vietnamese restaurant with 3 locations in Edmonton. I dined at the West End location and realized it was a self-service establishment. 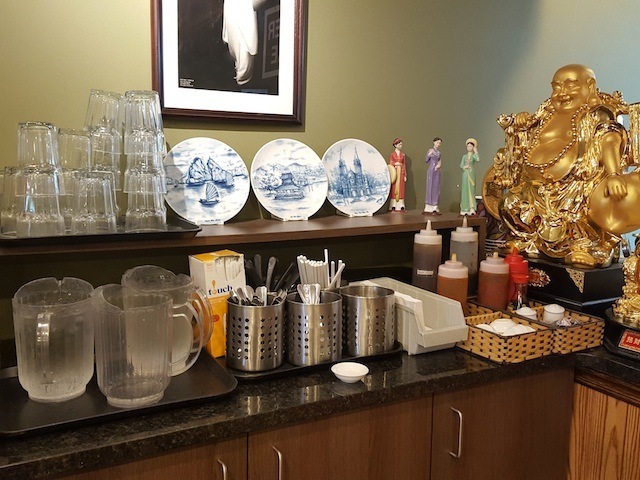 Customers need to order at the counter and get their own water, cutlery, and sauces. 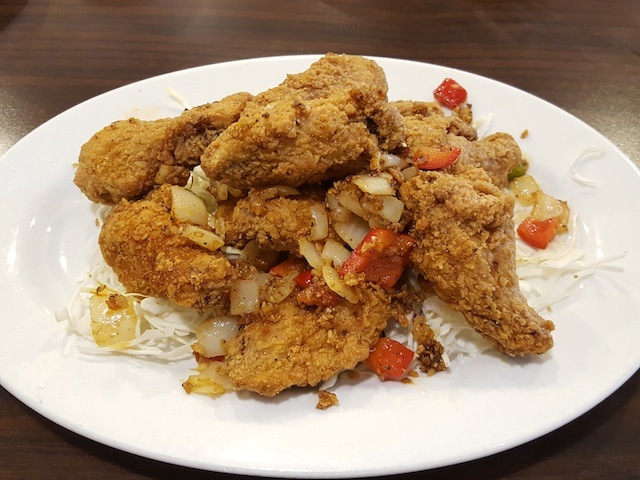 The best dish here, in my opinion, is the spicy crispy chicken wings ($10.95). If you can only order one item, get this one! The seasoning is what makes these wings so addictive. It's served with sauteed onions, peppers and spices, and the level of spiciness is just right — enough to give a good kick but not so much that it kills your taste buds. 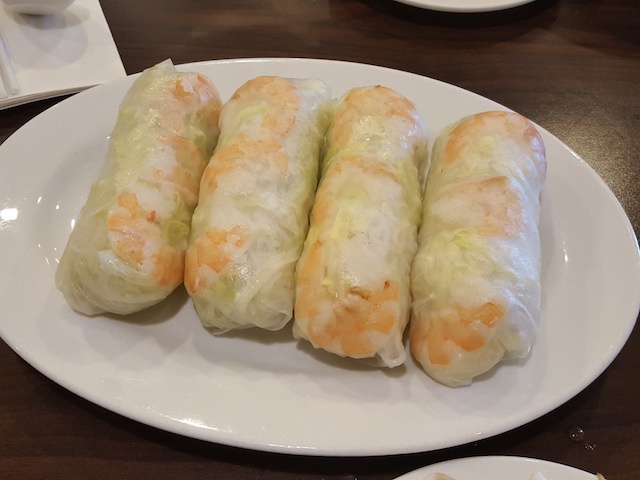 The shrimp salad rolls ($8.75) were huge but mostly stuffed with vermicelli and lettuce, so it was quite bland since the shrimp to other fillings ratio was way off. The shrimp also did not have any flavour. I value quality over quantity, so I'd take the salad rolls at Grain of Rice over these anytime. 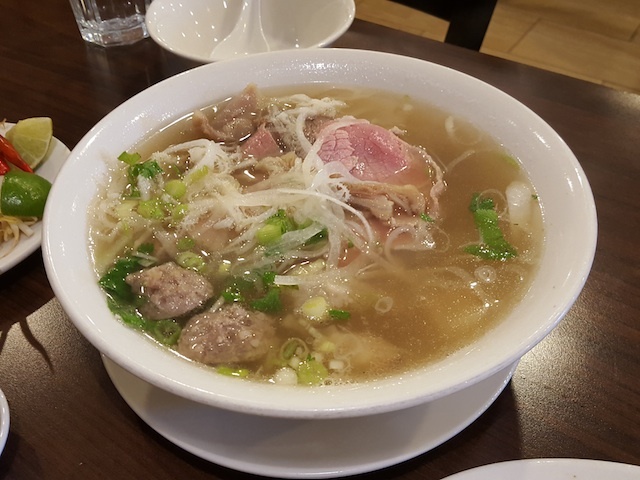 The special beef noodle soup / pho ($11.95) was pretty standard, and I liked how the beef was served pink. The broth was also quite savoury and comforting. Hue's spicy noodle soup / bun bo hue ($11.95) was served with a generous amount of shredded cabbage on top which I found a bit strange, but good for my daily vegetable intake. There was also a lot of beef brisket, pork sausage and meatballs to go with it. 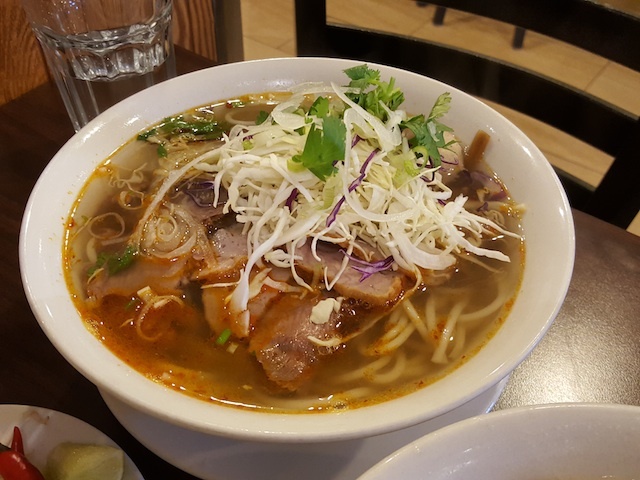 Compared to other bun bo hue, this broth was a bit weaker and didn't have the intense piquant flavour I was expecting.